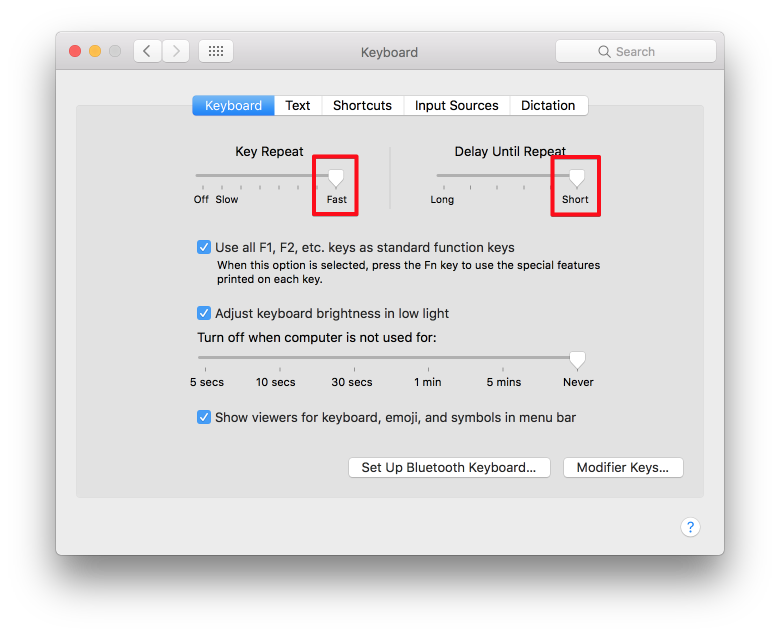 Holding down a key on the keyboard does not cause it to repeat correctly. The key will repeat, but only after 2 seconds or so. In some cases it doesn't repeat at all. There are a few suggestions floating around in forums but none seem to correct the problem. Interestingly, key repeat does seem to work in Terminal, but that's the exception. It's broken in Notes, Mail, TextEdit, etc. You need to restart after toggling this setting on OR off. Not the answer you're looking for? Browse other questions tagged keyboard sierra .